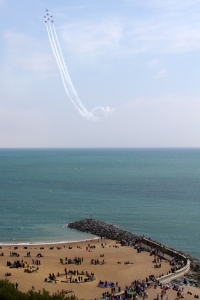 Preparations for next year’s Folkestone Air Show are already under way, organiser Folkestone Town Centre Management Ltd (FTCM) has announced. 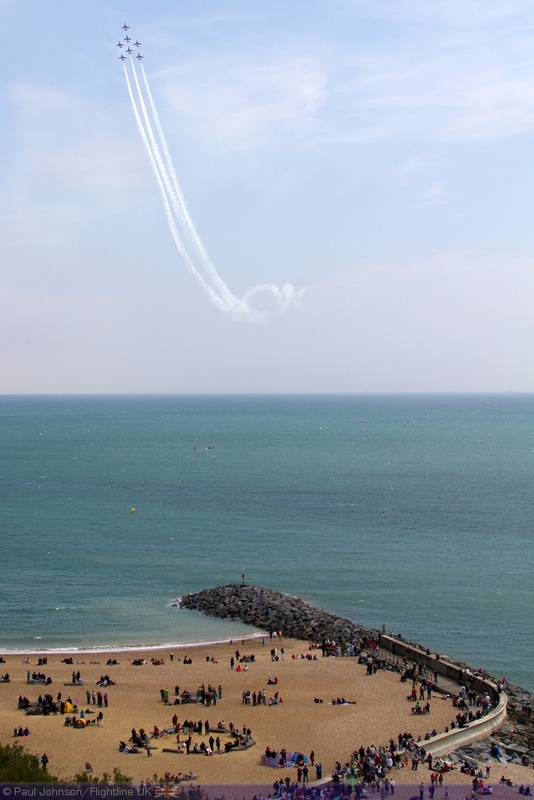 Branded as Folkestone Air Show, the plans are to make it even more successful than the 2012 event. It will take place on Saturday, June 8, 2013, the middle day of an action-packed weekend which will also include ground displays, exhibitions, entertainment, family fun and children’s activities. Town centre manager John Barber is in overall charge of arrangement. Folkestone Town Centre Management (FTCM) has appointed a dedicated project team to plan and promote the event. As with this year, the show will be funded by local sponsors, donations and the proceeds of sales of memorabilia, and, in a bid to keep most of the spend of the scores of thousands of spectators in Shepway, FTCM is engaging retailers, accommodation and hospitality-providers, entertainment venues and other businesses in its plans. Project team member Yvonne Holder said: “We aim to make the air show weekend even more successful than the one staged in June, the first since 2003. “The flying programme will not be announced until nearer the date, but with thrilling displays in the air and plenty of events on the ground to entertain visitors and residents Folkestone AirShow will give a flying start to the month-long Folkestone Festival, also organised by FTCM, which follows. “Lessons have been learned from the 2012 event, and our plans include dealing with the important issues of on-the-day parking and communications with spectators. Support from Shepway District Council, the business community and tourism organisations is fantastic. “A big promotion programme to stimulate and sustain local, regional and farther-afield interest starts this month. It will include print, online, radio, TV, film, website and social media. A separate campaign will target tour and coach operators and group organisers. No one will be able to say that they don’t know about next year’s show. We’re looking to attract bumper crowds throughout the weekend”.